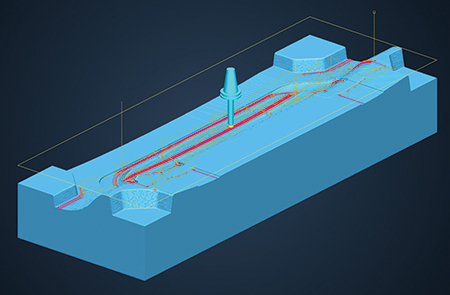 For this complex part, Tebis Version 4.0 Release 5 automatically selects the total of 705 tools for collision-free machining of the 270 features in just 2 min.—a time savings of 80 percent in comparison with the previous version. On reroughing this mold component, the new version can save the user up to 60 percent in calculation time. 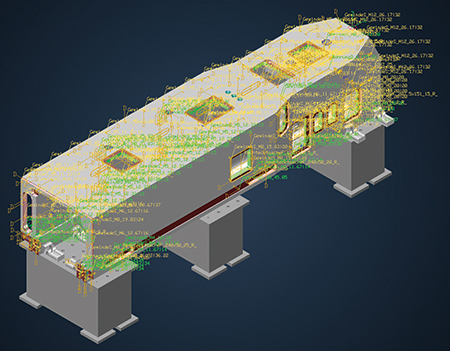 Tebis America, Troy, MI, has announced the release of its Version 4.0 Release 5 software for tool, die and mold design for the automotive- and aerospace-manufacturing industries. The release features automated NC programming based on templates with process libraries that enable fast and reliable procedures and processes that include simulating machine operation, working with tool sets, searching for tools in feature machining or exchanging tools in the Job Manager. Users also can easily edit large and complex parts with Tebis. With Version 4.0 Release 5, process bottlenecks are avoided. Developers adapted the system to optimize the use of all available memory. And, multicore technology relying on parallel processing was simultaneously integrated. The extended parallel processing saves significant time, especially in the calculation of NC programs for re-roughing. Parts can be loaded, shaded and saved with time optimization. See also: Tebis America, Inc.